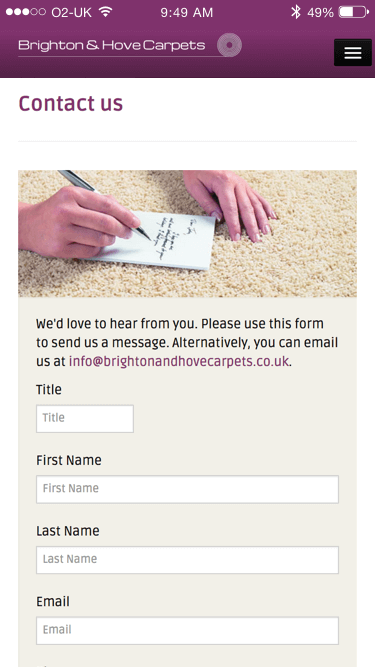 Local startup venture Brighton and Hove Carpets needed a simple website to outline their products and services, and explain their values to their potential customers. 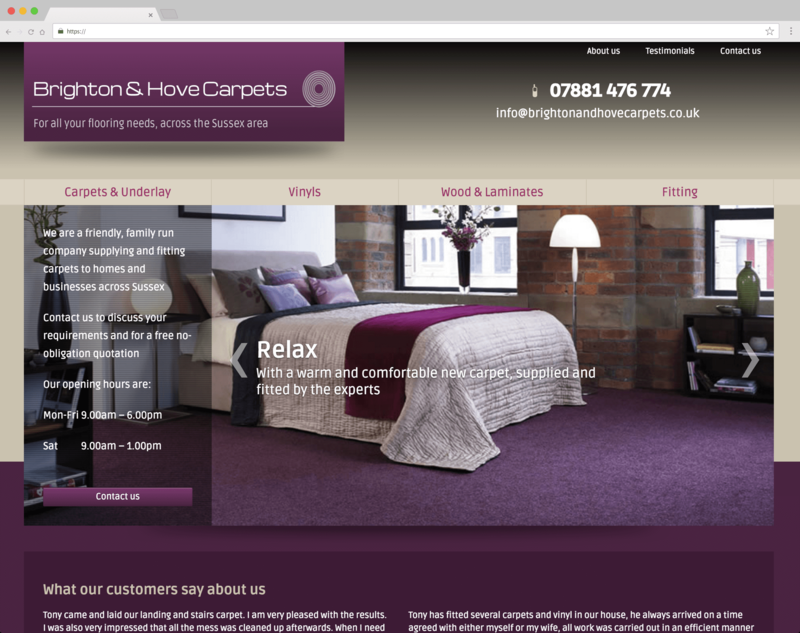 A bespoke theme was developed for WordPress, which seemed the most effective way to give the client an easy-to-use CMS to maintain and update the site in the future. 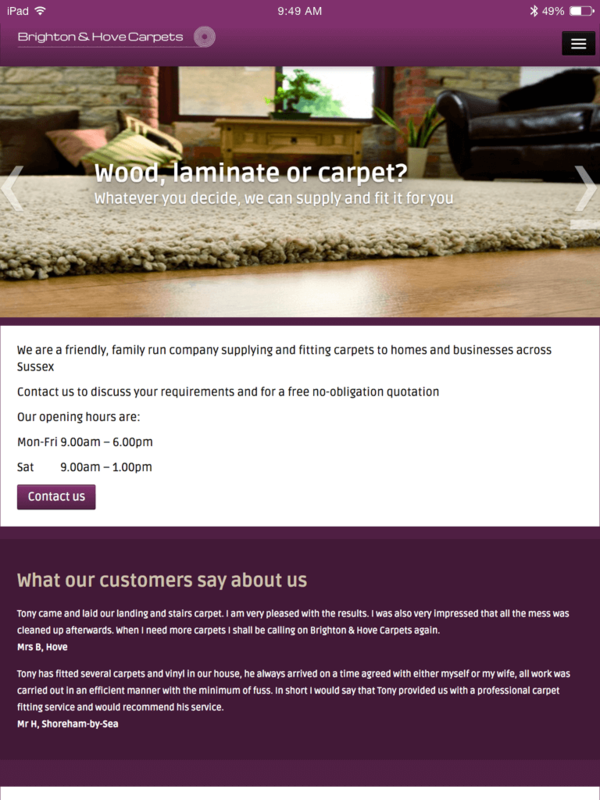 Future plans for the company include selling carpets online.